This story of a proud rural beauty and the three men who court her is the novel that first made Thomas Hardy famous. 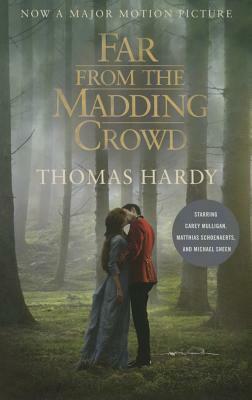 Despite the violent ends of several of its major characters, Far from the Madding Crowd is the sunniest and least brooding of Hardy’s great novels. The strong-minded Bathsheba Everdene—and the devoted shepherd, obsessed farmer, and dashing soldier who vie for her favor—move through a beautifully realized late nineteenth-century agrarian landscape, still almost untouched by the industrial revolution and the encroachment of modern life. Thomas Hardy (1840–1928) was born in Dorset, England, son of a stonemason. Though a gifted student, he was unable to afford to attend university. He was apprenticed to an architect at age sixteen and worked in London for several years before returning to Dorset and dedicating himself to writing novels and poems.